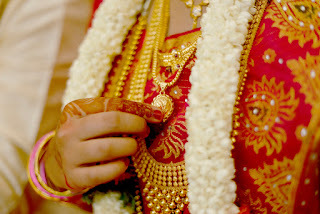 Kannada wedding is the most pleasant moment to tie nuptial knot of the Kannada bride and groom. Kannada marriage is very simple but elegant about its varying custom and traditions towards the big day. This is very simple and realistic culture to celebrate wedding custom and traditions. Kannada wedding custom and rituals are closely connected to the cultural and religious beliefs to accomplish matrimonial ceremonies' step by step. Kannada people are the residents of the Indian state Karnataka. This is very simple and realistic culture to celebrate matrimony ceremonies like their festive occasions. The marriage custom and rituals differ from state to state and community to community. Kannada wedding process takes a long time from its beginning to the end. These are highlighted custom and rituals that are the essence of cultural and religious beliefs. Wedding is not a common day this comes once in a couple’s life to enjoy precious moments together in a stylish or even traditional ways. Kannada matrimony memories must be captured in photographs to recall it again. On this marriage day Kannada groom wears traditional white Veshti or Dhoti this is made from cotton typical fabric in a simple way. But when it comes to the wedding custom groom wears silk scarf along with veshti is called Angavestram. And Kannada bride wears Naavari Saree on the wedding occasion. A bride also wears traditional ornamented jewelry to enhance her look. The custom and traditions are additional ceremonies to create much joyous or to arrange a marriage occasion in a traditional way. This is a very first custom ceremony when the couple horoscope goes for matching to fix wed alliance. The groom’s parents go to the bride’s house to offer some traditional gifts like attire, coconut, sweets and fruits. This day fixes wedding date and time. Mandap Puja & Decor- This is really significant where all wedding rituals are performed even couple takes pheras in the mandap. Thus, this decoration must be colored with different floral garlands and after priest perform a little puja to purify mandap. Jaimala – Jaimala is one of the most favorable ceremony where a long curtain is placed between the matchmaking couple this gradually removed when a bride and groom exchange garlands to each other. This is a first chance couple comes in front of each other. After this phera ceremony takes place to unite the couple in a holy relationship forever. 5 Stunning Ways to Keep Married Relationship Strong in Your Busy Lives : No relation demands time, but don’t tell them with whom you are closely connected. A marriage relationship is a very loving and beautiful makes you feel special. In the married relation couple shares their love and secrets to each other. But modern time technologies and workaholic habits are worse that are influencing your married relationship. Never kill the romance in married life its mandatory to keep close touch between the couple. A regular life busy schedule sometimes makes you upset whenever you make a plan for a long tour but unfortunately your spouse says oh, no sorry I am busy. These wordings make your life and relation restless.